Eun Sun (Sunny) Yoo of Dotori Bookkeeping is a certified QuickBooks Online Proadvisor providing bookkeeping, budgeting, cleanup, accounting, and tax services in Salt Lake City, UT. To see plan inclusions, click here. 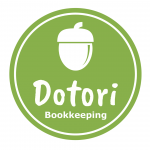 Work For Dotori Bookkeeping? Claim This Page.